Storage comes in many forms rotating diskes to solid media. One of the most popular solid media options these days are SD cards. They seems to go into everything from computers to digital cameras. Chances are you also have a lot of SD cards and you don’t know where to put them all. 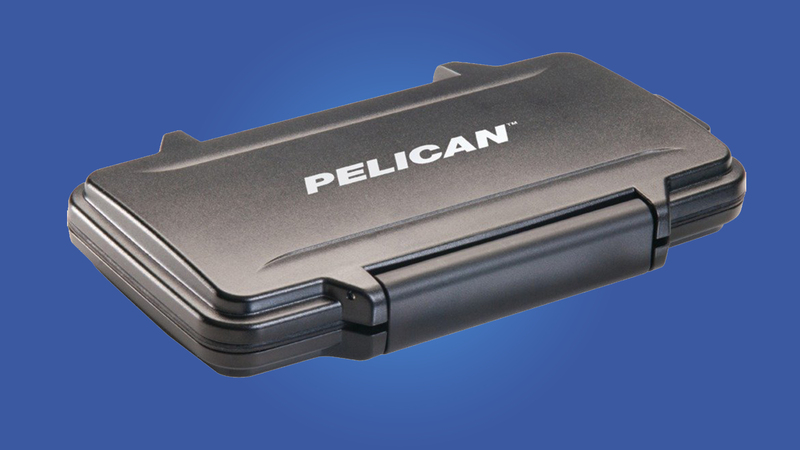 Consider this ruggid case from Pelican, a trusted brand, to keep your SD cards safe. It can house 8 SD cards and 16 mini SD cards safely in one compact and very ruggid case. Pelican is a leader is tough cases that are meant to be bashed around and dropped many times without breaking or damaging the cards inside. The memory card case is great for anyone who has many SD cards to keep track of like me. I’m an avid photographer and need many SD cards for all the pictures and videos that I take on a daily basis. The case though ruggid, is very thin and can fit in your pocket easily or slipped into a small area for safe keeping. Pelican was smart and didn’t just cut holes for SD cards but also microSD cards that fit in even smaller holes inside of the SD card hole.